Welcome to our journey into the guts of The Walking Dead. What kind of journey? A philosophical, psychoanalytical and political kind. What I would like to do over the next couple months is dig through the Walking Dead episode by episode to see what it can teach us. Thank you for following me on this journey. I look forward to reading your comments. Be forewarned: There are spoilers everywhere. Don’t forget to check out my previous post in the Philosophizing TWD series: Philosophizing TWD S3E15 This Sorrowful Life | Who Is Morally Superior - Rick Or Merle? I never liked Andrea. From the start, she represented the senseless do-gooder. The only character positioning herself in the center of needed violence and calling for peace. On the opposite of the spectrum is Milton. The cowardly scientist. Both characters present the same obstacle. Andrea and Milton’s desire to avoid violence results not only in their own demise but escalates the bloodshed between the rival factions. Do you have one of those friends who tries to solve the problems in your social group? You know that one who seeks to hear and validate everyone’s perspective all the while urging reconciliation? Often, these characters do resolve petty squabbles between friends. Slights against a character or a stolen spotlight. But with zombies, the stakes are much higher. The rivalry between survivor groups breeds all-encompassing ideology. Us or them. All or nothing. Andrea’s denial was rooted in this failure to understand the stakes of the game. The Governor and Rick were playing for keeps. Reconciliation, peace between factions was not an option. Andrea’s insertion of her body into the political was more selfish that self-sacrificing. Andrea was motivated by ideals. Ideals not rooted in the practical desires of the survivor factions, but solely in her Pre-post-apocalyptic values. Andrea sought above all to manipulate Rick and the Governor to bring to life social contracts of a lost era. The last act of Andrea’s life was to kill the zombified Milton. They spent the episode trapped in a room. Andrea tied to a chair, and Milton dying from a fatal wound. Even to her last, Andrea sough denial. Telling Milton things will be ok. Milton, on the other hand, had a stronger grip on reality. Knowing that he was going to die and eat Andrea’s face. He ordered Andrea to kill him. Milton prided himself as a subversive. Minimizing the damage the caused by the governor. Sliding himself into position to lie at the right time in order to shift the governor's actions to save others. 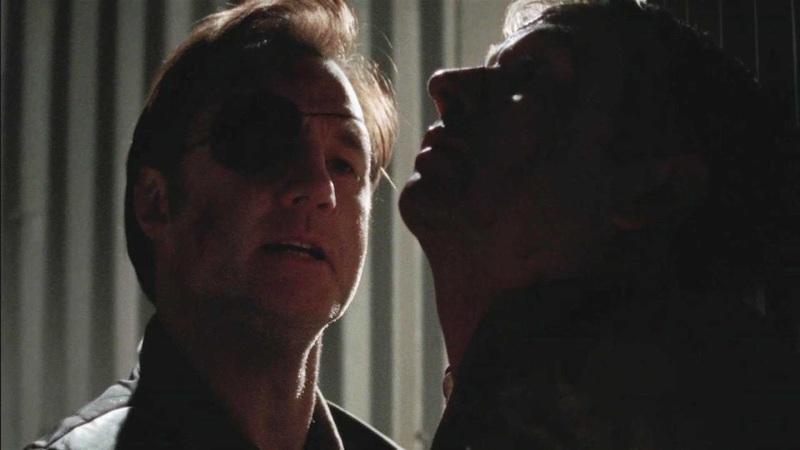 But Milton’s power was dependent on his relationship with the Governor. A relationship in which he was the lesser. Andrea and Milton’s ability to impact change was limited by the perspective they built out of the situations they found themselves in. Andrea position herself as a one-woman NATO between two factions who did not consider peace an option. Milton fancied himself as a double agent working in the system to ease its capacity for cruelty. But in the ended both conflict-fearing strategies ate each other alive.